Measure twice and build once! Be sure to measure your current radiator and your available space. Width, length, thickness, distance from fan etc. are all important. 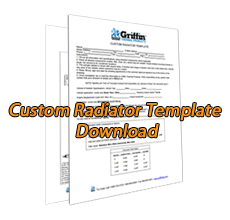 Fill out the “Custom Radiator” template with as much information as possible and fax or email it to us. Or, you are welcome to send us your original vintage radiator as a reference..
864-845-5000 to discuss your options and our suggestions. We will review your project and provide feedback from our engineering team. Our sales techs are standing by to make sure you get the custom cooling your project deserves. Your new custom radiator will arrive on your door step in a few short weeks. On average custom builds take only 2 weeks to complete. You’ll be cool in no time! 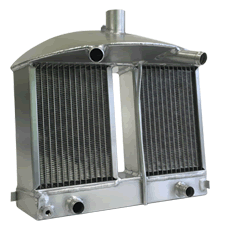 Griffin Custom Radiators are 100% made in Piedmont, SC. 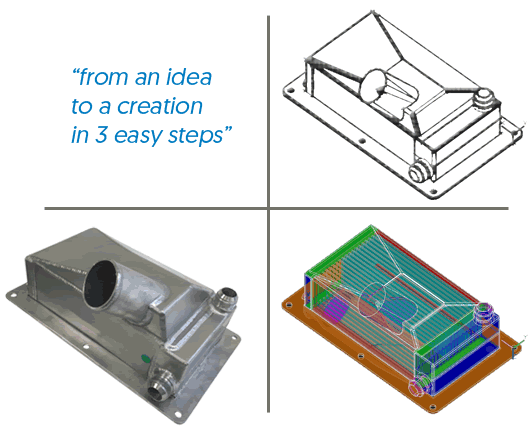 Our custom radiators are hand built to your specific specifications from the ground up. We start with raw aluminum and make each and every part starting with the tubes and fin for the core. Once the core is complete we build the tanks either by stamping or hand forming them to best suit your design. The brackets are then cut to shape by one of our CNC machines. Lastly the parts are delivered to the weld department where one of “artists” hand welds all of the components together. Griffin custom radiators are truly hand built just for you! 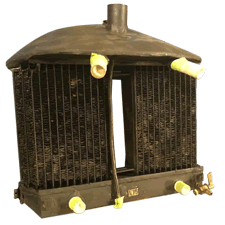 All custom radiators are leak tested and carry a 1 year warranty.